Let's be honest: you've thrown a few delicate, "hand wash only" clothes into the wash with your jeans. Maybe you've even ruined a sweater or two. There are so many things to look out for when doing laundry, and they're easily ignored or forgotten, especially when it comes to drying. Some items should not be thrown in the dryer, and hanging wet clothes can cause stretching, especially with items like cardigans and fluffy sweaters that collect and hold water. Fragile fabric such as cashmere and lace can't handle frequent tugging, and will ultimately fray or stretch. The simple solution is to wring them by hand before hanging, but there's an even easier way to do it, and it's hiding in your kitchen. 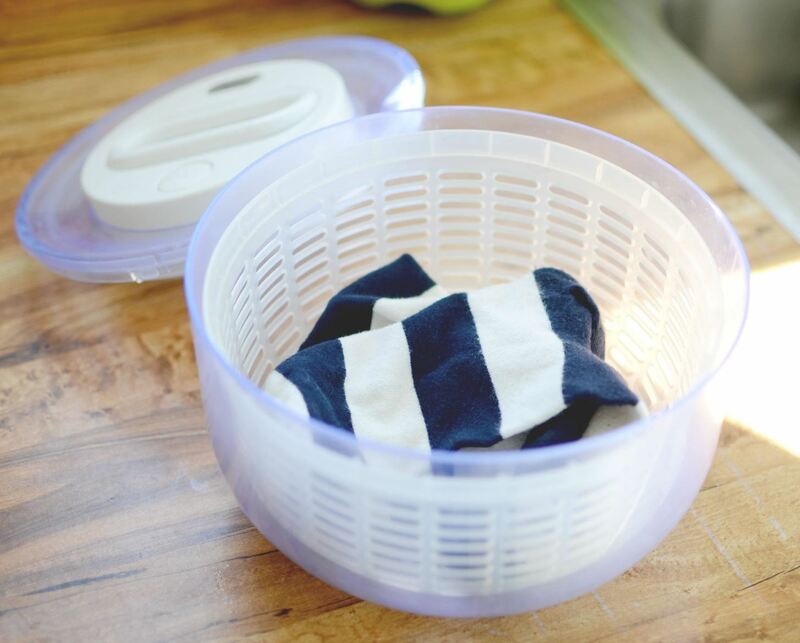 Rather than risk turning your perfectly fitted top turning into a super baggy XXL, toss the item into your salad spinner—the perfect solution for any clothing that can't handle the dryer or clothesline. This nifty gadget flings excess water out of your garments, saving you drying time, space, and effort. As your delicate clothing spins in the basket, the leftover water is sent flying into the surrounding bowl. Of course, a salad spinner can't completely dry clothing. 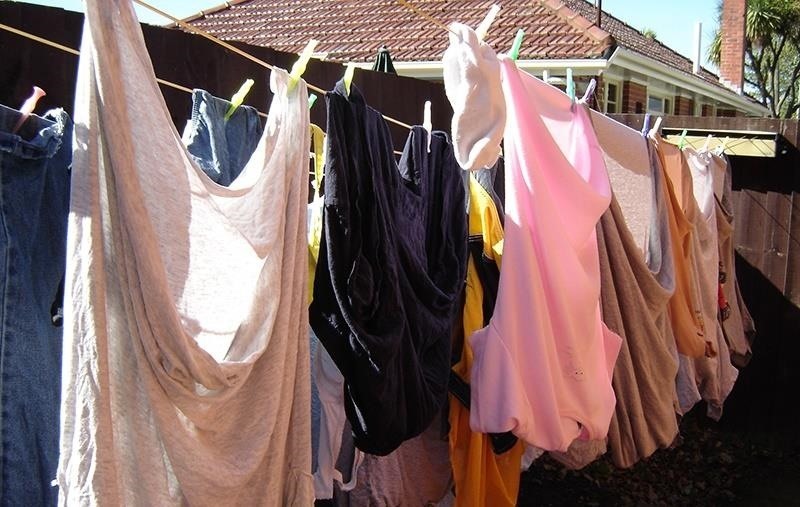 You'll still need to let your garments air out a bit, but with the extra water removed, your hand-washed items are now lighter and suitable to either lay flat out or hang. Just watch out for those hanger bumps. Aside from drying, a salad spinner can also be used to wash those "hand wash only" clothes if you take it easy. Or, you could opt for a DIY rapid laundry washer instead. For jeans, you don't even need to wash them—just throw them in your freezer and done.